Yesterday I shared the outside of an envelope; today I’ve got what was inside. Above is the front of the folder that contained the commemorative postage stamps shown below. 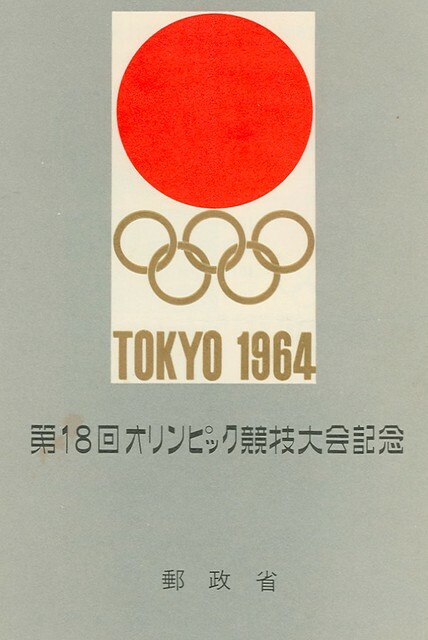 The text inside the folder is in Japanese and English, so I can tell you the 5 yen stamp is the Olympic Cauldron and Athletes (well, you probably knew that just by looking). The 10 yen is National Stadium. The 30yen, Nippon Budokan Hall. The 40, National Gymnasium. The 50, Komazawa Gymnasium. This set was first issued in October of 1964. 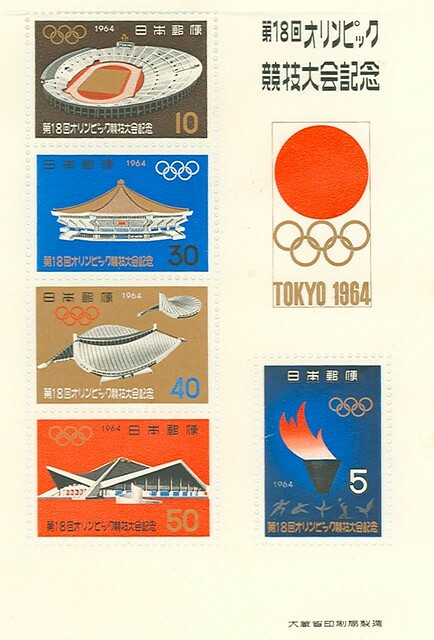 Also inside the folder, wrapped in soft translucent paper, were these loose stamps: some of them are Olympic commemoratives, too. The one with the tiger was issued for the New Year in 1962, the year I was born (apparently I am a Water Tiger, sensitive and tranquil, at least according to chinesezodiac.com). I was able to find out that the blue landscape is Mt. Shibutsu and the plum one Mt. 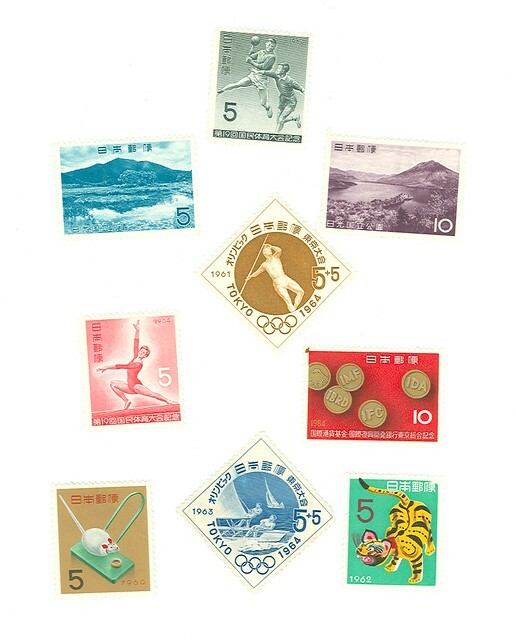 Nantai from Kevin’s Stamp Album. Much as I enjoy looking at these tiny pieces of art, I am not drawn to start collecting stamps. Thank goodness; I have too many collections as it is.